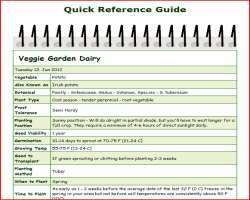 The growing carrots quick reference guide below is designed as a quick overview of growing carrots. For more details on the different stages from seed to harvest go to the related pages link. Planting Position Sunny position - Will do alright in partial shade, but you'll have to wait longer for a full crop. They require a minimum of 4-6 hours of direct sunlight daily. When to Fertilize In the fall before spring planting or at least 2 weeks before sowing. Days to Harvest 50-80 days - depending on conditions and variety.